This document covers a workflow procedure for continious zone printing on the LEJ-640FT in order to minimize loading time and maximize productivity. Objective: How to Manually Enter Media Height on the LEJ-640FT The Set Media Height function on the Handheld Keypad allows the operator to access the MENU for selecting the head-height (media thickness) setting action. LEJ-640FT Users Manual. 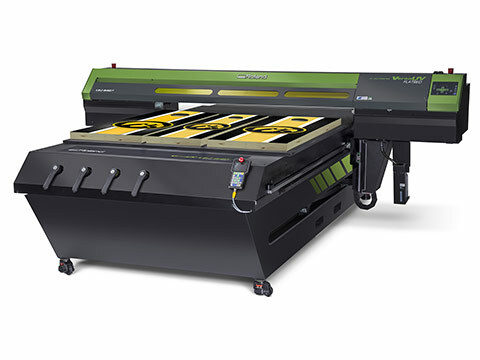 Explaining the operation of the Roland Flatbed Printer. The profile is best used on warped, irregular, or any other non-flat surface. NOTE - This profile will not yield identical results to the LEF series Distance Mode. It is a separate profile built with similar properties. This profile was design to print smooth surface materials like acrylic, PET, polycarbonate, and Dibond.